This fashion ring silver finish is made with a cabochon of 20 mm diameter with flowers on a clear blue background and a fashion silver colour frame. 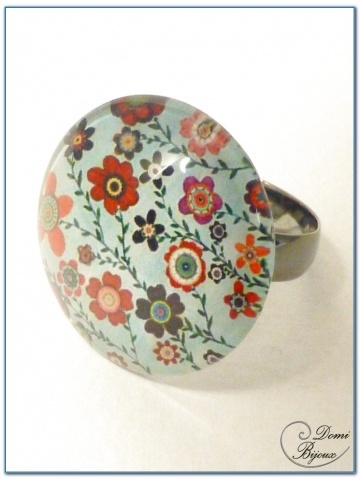 This ring is adjustable from teenager size to adult size. 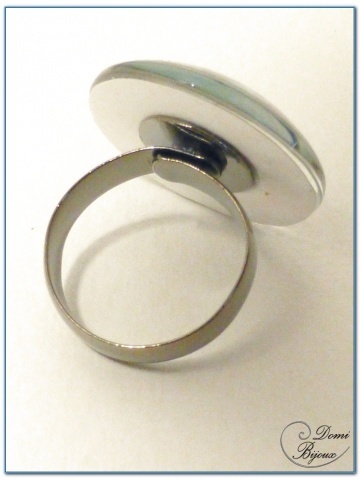 The adjustment of this ring is made inside the frame like a spiral, so you do not hurt your finger. 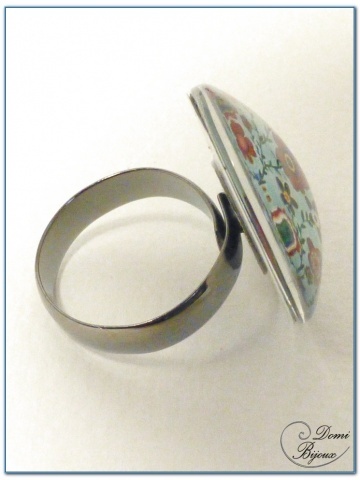 As all our jewels, this ring is hand made and you will receive it with a cloth pouc to protect when you will store it.